This past weekend, the time jumped one hour ahead and the hope of spring erupted into everyone’s hearts. After weeks of negative 30 degree Celsius temperatures and seemingly endless snowy, icy, grey days, we had plus-six degrees outside today. Giant piles of snow started to sweat and release their hard-packed bulk into the streets and sidewalks. Almost like magic, my childhood friend and the great temptation of my adult life appeared along the edges between cement and grass. Mud. It evokes thoughts of similar spring thaws from my childhood, when I’d put on my rubber boots and ramble around my grandmother’s farm. Puddles would accumulate in various depressions in the fallow fields. The corn field along the edges of the property would become rows of damp, sucking mud. The Grand River, a short walk from the property, would swell its banks and create a mysterious world of wet ground and treasures washed up or revealed after the long winter. Photo credit to The Middle Generation 2014. No child can resist such an alluring playground, and I’m very thankful that my parents let me run wild during the spring. Long cooped up indoors, the enjoyment of flooding my boots from pools of water or getting them completely lost in the mud was beyond compare. 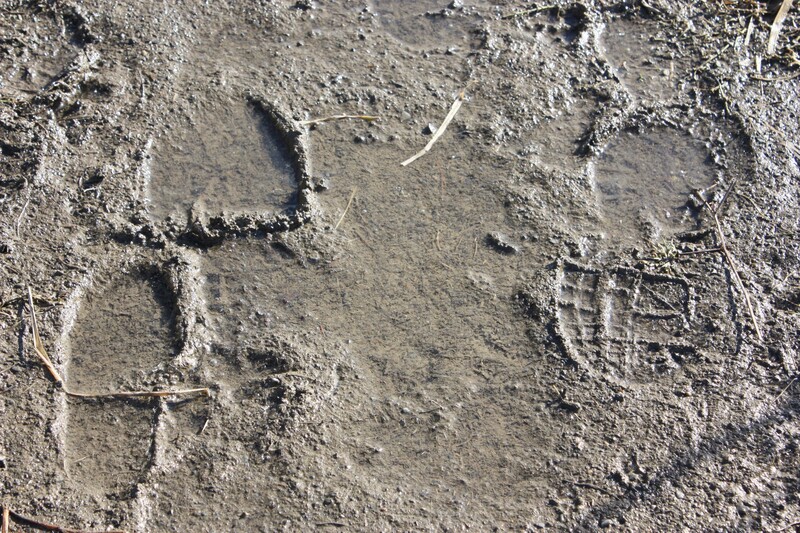 As adults we feel perhaps a little more self-conscious around the mud puddle; we don’t want to get our good clothes dirty, and we certainly don’t want to embarrass ourselves. There’s much to be said for letting go and enjoying these small pleasures in life, however. I say: be like a child again, and enjoy the mud puddle! Happy almost-spring, everyone!